Based on some quick googling, it looks like there are several potential causes for the error, but here's why I received it today. The stored procedure I had declared as the query source had the same column name declared twice. 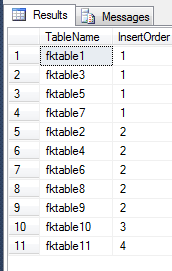 Even if you use different data from different tables, even if you declare them differently, SSRS needs all column names in the final dataset to be unique. That error message isn't helpful, but that was the solution for me, for what was a clumsy mistake to begin with. Here's a script to determine, based on your database's foreign key relationships, what the insertion order would be for, say, a testing dataset. Use the sample script from the previous post on how to "Script Out Foreign Keys With Multiple Keys" for an example of building a complicated set of foreign key relationships to test this script out. ... or drop the tables in the proper order. UPDATED 20140507: changed old system reference objects (sysobjects) to new system reference objects (sys.objects) UPDATED 20140624: added "and cteFK.pktable <> cteRec.tablename", see comments for explanation. It's easy enough to use sys.foreign_keys and sys.foreign_key_columns to identify foreign keys. But what if you want to script out your foreign keys (and only your foreign keys)... that have compound primary keys? Here's how I recently did this. It actually turned out to be more complicated than I thought, certainly more complicated that your standard throw-strings-together-based-on-system-tables. This is because we need to build a recurse of the multi-key values that are both referenced and referencing in foreign keys. Of course, a rather obvious answer presents itself the next day. After reviewing the actual environment that my colleague was working in, it popped quickly into mind. What if the table has a compound primary key? See comments for a play-by-play. --Second key of the Clustered Key can benefit, this easy to understand. -- We're simply giving SQL a narrower set of data, via the nonclustered index. --Still, putting a subsequent key of a compound clustered key in the include column doesn't help. -- SQL can still do an index seek on id2, even when the index doesn't contain it (idx_nc_testclusteredinclude_text1). 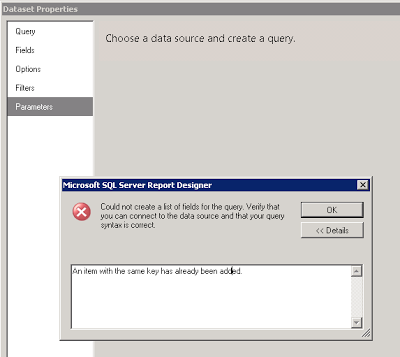 One final note - none of the SELECT statements above generate any missing index suggestions in SQL 2012 SP1 or SQL 2008 SP2, even though without any nonclustered indexes they all generated Clustered Index Scans. Adding the Clustered Key To Your Nonclustered Index? A colleague of mine was understandably confused when using the almost-perfect missing index engine in SQL 2008. The engine recommended he include the clustered index key in a new nonclustered index. Read that again - you're right, it doesn't make a lot of sense. Why would you ever need to have your primary key or clustered index key as a key field on a non-clustered index? That don't make any sense to me. If the SQL engine needs to make a lookup on the clustered index have the primary key as an include on your non-clustered index. ...I researched it and the only difference is that my current nonclustered has the primary key as a key field and now it's suggesting making it a include column. I've got a wild hunch that the clustered key might make sense to have as a key in the nonclustered index as long as it isn't the first key, and the query is ordering on a nonclustered key. However, I can't think of a representative situation to prove that, so I might be wrong. I'm open to suggestions for a reproducible lab sample, perhaps your starting point would be the sample script below. That said, I don't think it would make any sense to put the clustered key in the INCLUDE of a nonclustered index. I'm puzzled as to why the missing index feature would suggest this. Here's a lab for proof. In this scenario, the index was 19.320312 MB without the include, and 19.320312 with the include. SQL doesn't store an extra copy of the clustered key in the nonclustered index just because you asked for it in the INCLUDE or in the key. That's because the clustered key is already a part of any nonclustered index key.